Available from The Friends’ Shop at the RUH and through most bookshops. Before retiring from her post as District Medical Librarian at the RUH in Bath 1987, Kate Clarke discovered the Hospital Minute Books, which record administration at the hospital from 1827 onwards, in a skip. She rescued them and sent them to the Bath Record Office for safekeeping, and has since spent much of her time researching them. To raise money for charity, she has given many talks on the RUH’s early history to local history groups, Townswomen’s guilds and to professional medical bodies. This book is the culmination of her work. 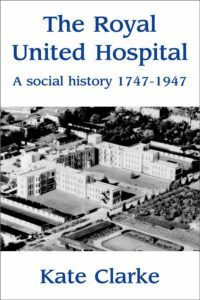 The Royal United Hospital: A social history 1747-1947 describes the day-to-day management of a voluntary hospital with humour and pathos. It shows the changing conditions for patients and staff through the years until the move to Combe Park in 1932, and records the development in standards of nursing care and changes in medical treatment. 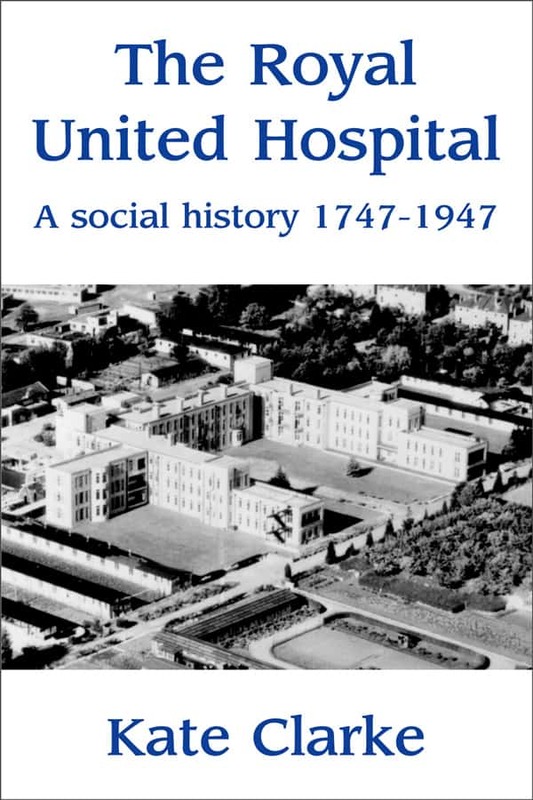 The book also shows the part played by the RUH in two major wars, and explains the great efforts of the local community in maintaining this voluntary hospital prior to the introduction of the NHS in 1947. This book will be a fascinating read for anyone interested in their local hospital, in medical history in general, or in the social history of Bath. The best in local produce. Every Saturday at Green Park Station.